Facial expressions have been studied looking for its diagnostic capabilities in mental health and clues for longevity, gender and other such personality traits. The use of facial expressions, especially the expression of smile, as a biometric has not been looked into great detail. However, research shows that a person can be identified from their behavioural traits including their emotional expressions. 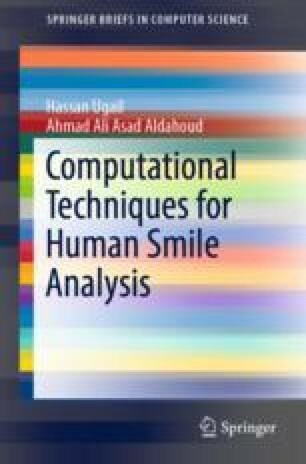 In this Chapter, we discuss a novel computational biometric model which can be derived from the smile expression. We discuss how the temporal components of a smile can be utilised to show that similarities in the smile exist for an individual and it can be enabled to create a tool which can be utilised as a biometric.